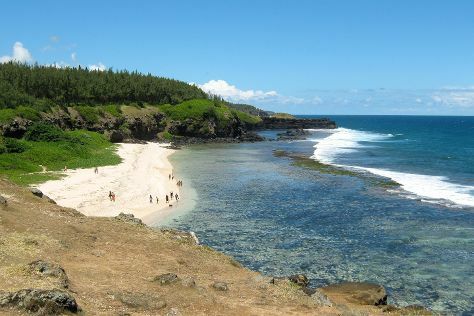 Souillac is the largest settlement along the southern shore of Mauritius, and is named after Vicomte de Souillac, the island's governor from 1779 to 1787. Serving as a port of call for French sailors voyaging to India in the 18th century, Souillac has also historically been a great exporter of sugarcane, from British colonization to the present day. There are plenty of historical landmarks to add to your Souillac itinerary, though a holiday here would not be complete without exploring the coast, with its jagged cliffs and pristine cascades. Souillac is in Savanne District. Use our Mauritius travel planner to arrange the details of your trip to Souillac and other destinations.